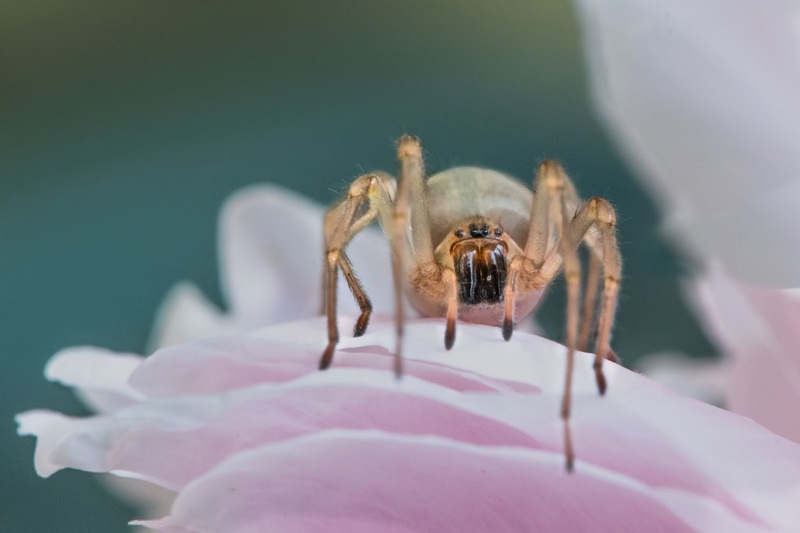 I had just cut the peony that had fallen over in the rain and was about to put it in a vase, when the beautiful Cheiracanthium spider came out of the petals to say hello. Click on him to get a better view of that wonderful face. Botswana and Namibia - Here I come!! "I think I have a bug on my nose."